U.S. antitrust agencies should block Google’s proposed acquisition of crowdsourced mapping app Waze because the deal would take away Google’s major competitor in mobile maps, consumer group Consumer Watchdog said. 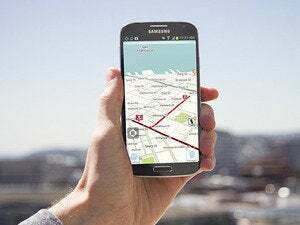 Google’s proposed acquisition would remove the most “viable” competitor to Google Maps on mobile devices, Consumer Watchdog, a frequent critic of Google, said in Wednesday letters to the U.S. Department of Justice and the U.S. Federal Trade Commission. The acquisition will also “allow Google access to even more data about online activity in a way that will increase its dominant position on the Internet,” Simpson added. A Google spokeswoman didn’t immediately respond to a request for comment on the Consumer Watchdog letters. The DOJ and the FTC should consider those comments, Simpson wrote.